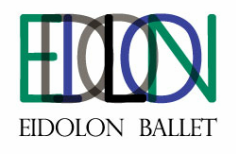 Eidolon Ballet In Concert believes that dance is an art form that can, and must, be accessible to the broad mainstream of society. Music and choreography contrast ballet and modern with intercultural music to create art that can speak to all cultures. As part of Eidolon’s audience development and community outreach program, the company offers several ways in which you can benefit. In keeping with Eidolon’s mission, we offer informal training sessions that demonstrate all “behind the scenes” aspects of performance production – including choreography, costume, set, sound and lighting design, and the rehearsal process. Dancers take the audience through the choreography helping them to understand the athleticism, endurance, commitment and training needed to dance professionally. The performers and audience closely interact to provide an opportunity to realize what it is to be a dancer.